Along with delivering quality heating oil, we at Nash Bros. Oil take pride in servicing your oil heating equipment so that it’s operating at top condition by supplying energy-efficient heating equipment. Did you know that installing a high-efficiency oil heating system can save you 30% per year on fuel costs if your current oil-fired boiler or furnace is more than 15 years old? New heating system technology can improve your home comfort for years to come and increase the overall value of your home each heating season. Along with making sure your boiler or furnace is up-to-date, upgrading your water heating equipment is important for your year-round home comfort and savings. 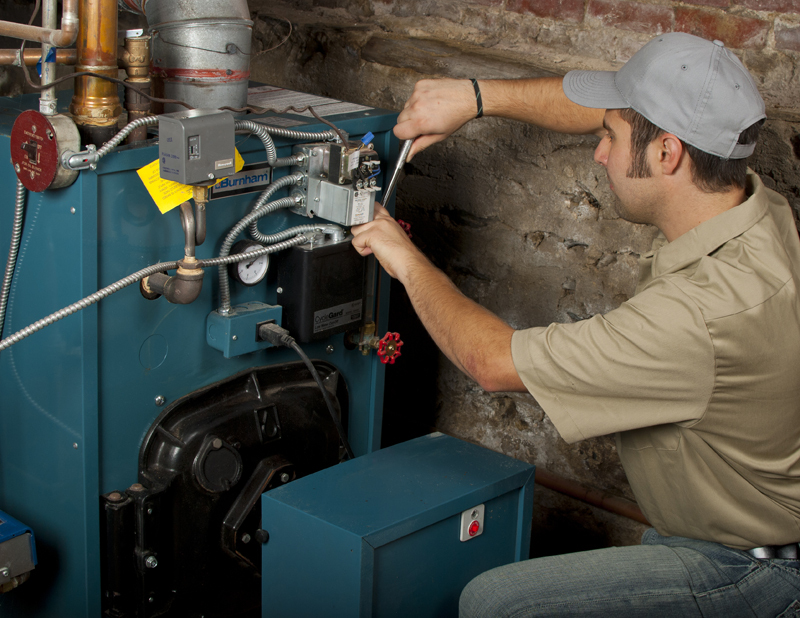 Are you considering upgrading your boiler, furnace, water heater, or oil tank? We offer free estimates for all equipment! See below for some of the brands we supply and install. Contact our office to schedule your estimate or to learn more! While we supply and install all types of modern heating systems, we recommend Burnham®, Carlin®, Energy Kinetics® System 2000®, Riello, Beckett™, and Weil-McLain® for the highest quality oil-fired heating systems on the market that will burn fuel most efficiently for your energy savings. Our technicians will conduct a safety inspection of your heating system based on manufacturer’s recommendations and industry best practice as routine maintenance prior to each winter. Our annual tune-up will keep your system running efficiently, which saves on fuel usage and extends the life of your equipment by tuning system parts and replacing components such as air filters. This service can save you 10% on fuel costs each year! If your system needs unplanned repair, we will be there for you 24/7/365. Nash Bros. Oil Distribution, Inc. offers protection and savings for your heating system. Our two service plan options include important maintenance practices and valuable services for your peace of mind throughout the heating season. Our Gold Plan and Platinum Plan both offer an annual heating system tune-up and safety inspection, discounts on parts that may need repair or replacement, savings for new equipment upgrades, and more. Contact us to schedule your annual tune-up, learn more about the equipment we install, or sign up for an oil service plan to be warm and comfortable this winter.